Now that we’re done with the Arcadia rework for now, things are happening fast in terms of the desert enemies! Teddy has been making a ton of prototyping and it’s now possible for us to play around with the basic enemy compositions. As mentioned before, our plan for these guys is that they won’t focus on the player in particular, but will be dangerous just by existing – as you can see, they launch a bunch of needles with each jump! The new slime and bird enemies have been added as well, the slime becoming a saw Giga-Slime style as it attacks, while the bird is pretty much an egg-laying bee! In order to mix this up a bit, we’re playing around with having the bird lay eggs closer to the ground, so you can actually hit it while it lays them. 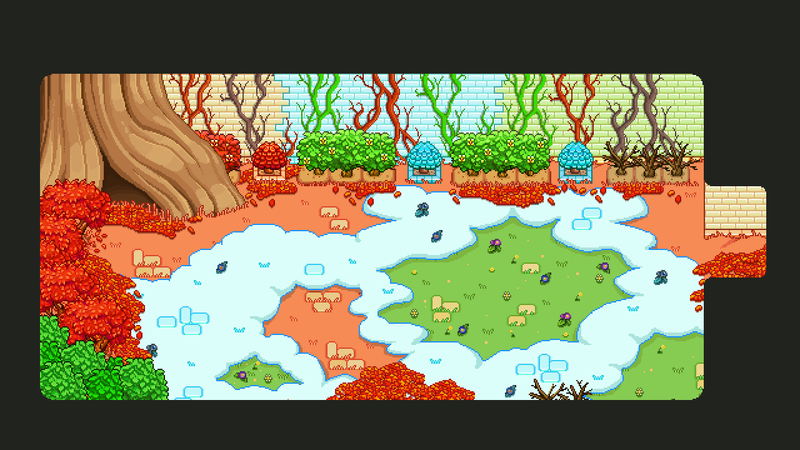 Our original idea was to have each egg spawn another bird unless you break it in time, but we’re also playing around with having it lay different kinds of eggs, each with a hazard of its own. However, it might end up too similar to the mimic which you just fought, so we might play around with some other ideas as well. We’ll need to play around with it a bit more before we know exactly how these will work in the end. Also, the Solem has not been made yet, and it might mix things up a lot once it joins these compositions! The second ice cream seller is the fiancé of the previous one! I’m sure he’s happy to be able to own such a sweet (ha) business with the love of his life – who wouldn’t be?! Right now we haven’t decided on any actual use for the ice creams, though it would certainly be fun to be able to buy some. Feel free to share any ideas you might have on potential uses for them! Is there a consumable type you feel is missing? Want more pet food? Let’s hear your ideas! 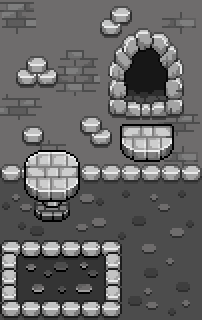 Next, I’ve been working on the fundamentals of a new kind of interior, the one you’ll find in the desert ruins! I wanted to make something special for it, since it was a while since I made something a bit more ‘out there’ – the town interiors generally follow the same basics, so I wanted to make something different this time. 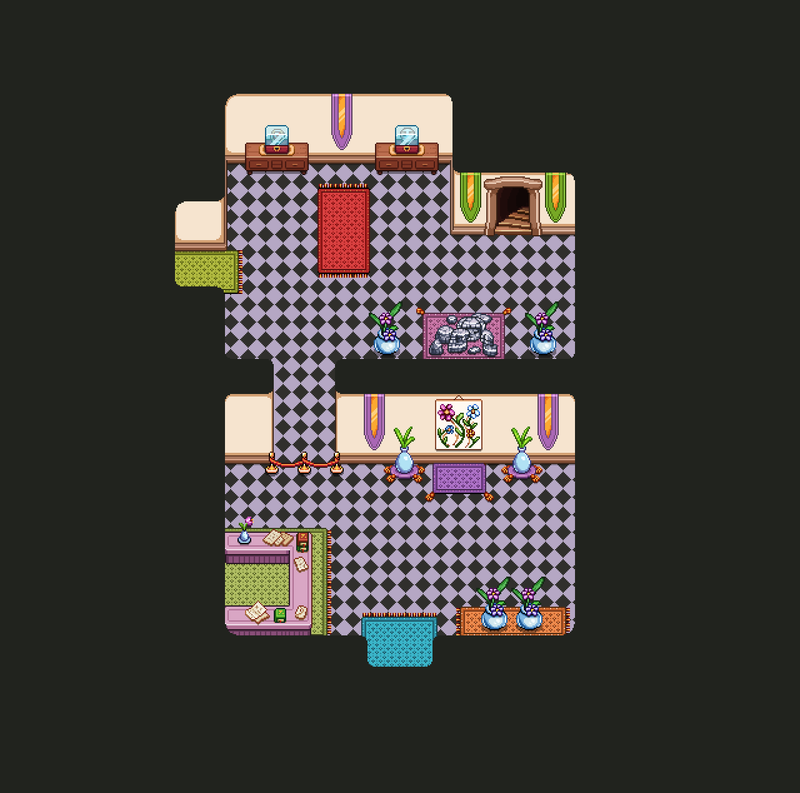 What I’ve done here is I’ve played around with walls and floor textures, and made some basic decorative things. I’m not 100% sure about the colors yet, I might tint them a bit yellow to make sure they fit the overall desert aesthetics, but once that’s done I’m ready to use these things as a base for the remaining interiors I need to make. 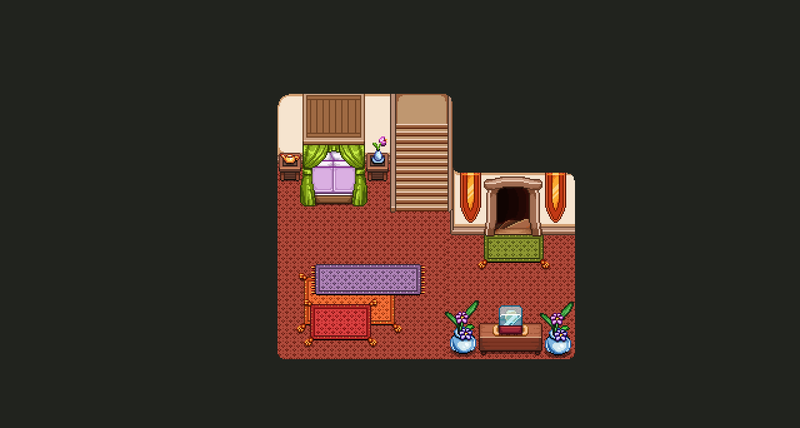 The desert ruins aren’t huge – only 2 (rather big) rooms are planned, but I wanted to make sure they feel special, hence the extra effort spent on getting a feel for it. When we’re done with the rest of story mode, we actually have plans to add her to the library in Evergrind City early in the game, when she’s there temporarily for a signing. 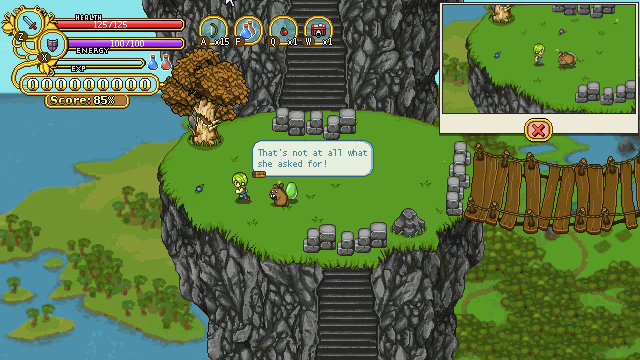 We’d like to tie together the whole world of Grindea, and having her (and maybe one or two other desert characters) appear in Evergrind early in the game is a step to make the player feel recognition when you run into them later in the game. Finally, the most exciting news…. 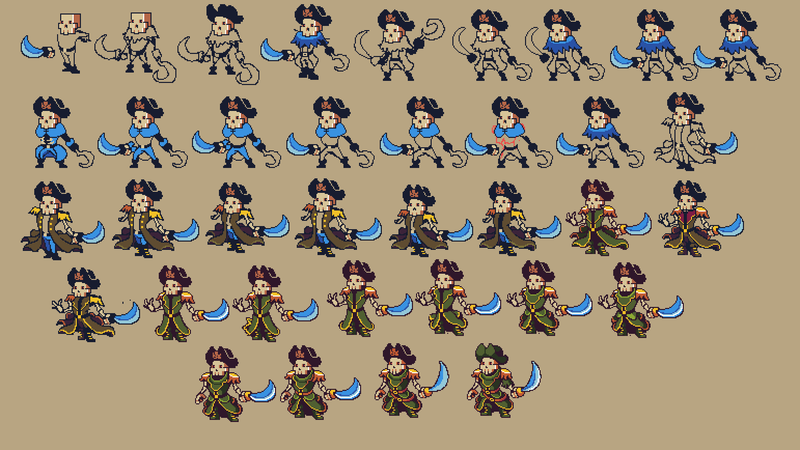 The very first sketches of the Captain, who will be the boss in the next dungeon: the ghost ship. 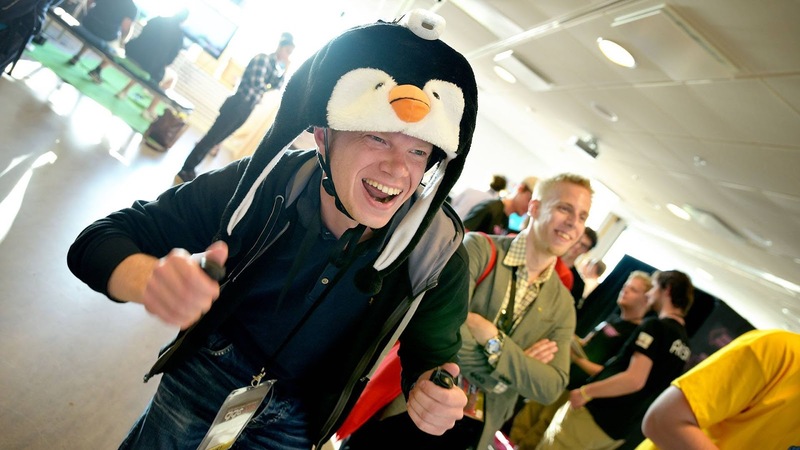 We have a really cool idea for this dungeon, and this guy plays a key part in it… Stay tuned for more!! Unfortunately tragedy has befallen the collection and a statue has broken. If only you knew someone who could fix it….. The first portrait this week features a lady hanging out in the beach area of the desert town, enjoying the wonderful weather. We’ve had epic weather here the last couple of weeks too, so it actually fits really well! 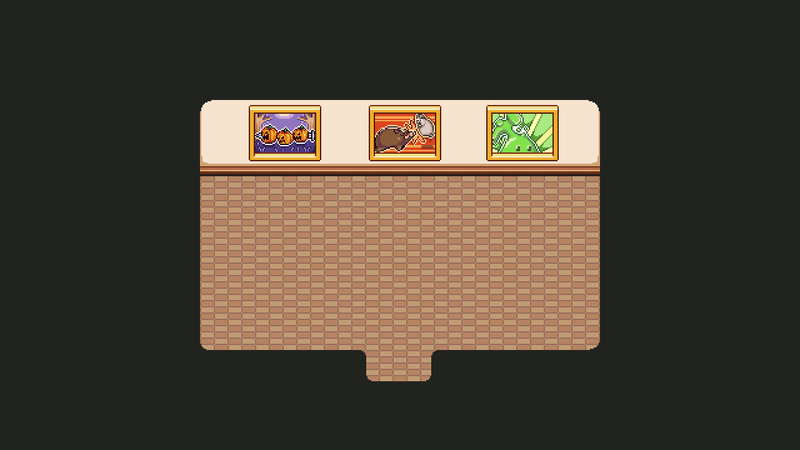 The second portrait features the person throwing coins into the well in the desert area, shown a while back! This girl is a visitor from Merchant Isle’s. What do you think she’s wishing for? Marino returns and has learned a new skill! To be precise, he’ll be using one of the player skills in his second fight against the main character. We felt that there are already so many humans relying solely on weapons that we wanted to mix it up and add some more skills in this battle. Can you guess which one he’ll be using? This week has been a very busy time for us Pixel Ferrets! 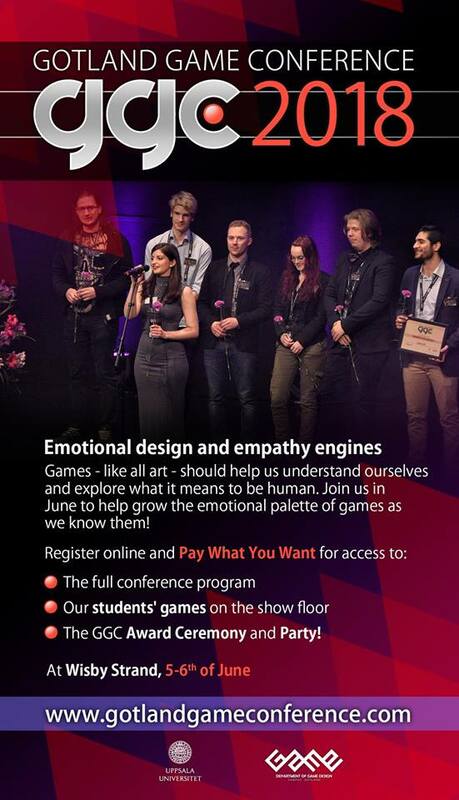 It was time for the annual Gotland Game Conference, where we got to go to our old campus and judge the games the students made this year. This year things were a little different: there were new award categories and a whole new voting system, which means as opposed to previous years we were expected to play all of the games this time! We’ve always tried to play as many games as possible, but this year it was for real. GGC started off, as usual, with us getting split into groups in order to listen to the student presentations (which we were judging as well), then we had the rest of the day until way into the evening and the day after to play their games. 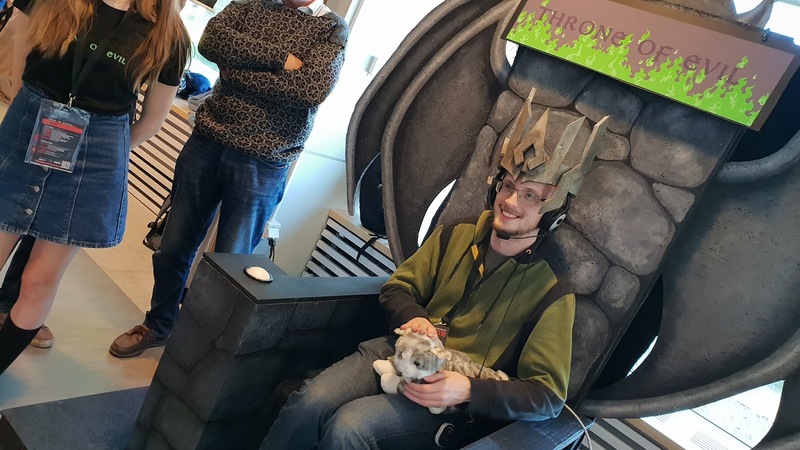 The second day (Tuesday) continued with another full day of game testing (there are 34 games in total, so as you can imagine playing all of them takes a lot of time)! In the evening we met up with the other judges and voted on what games we thought were fit to win each award. 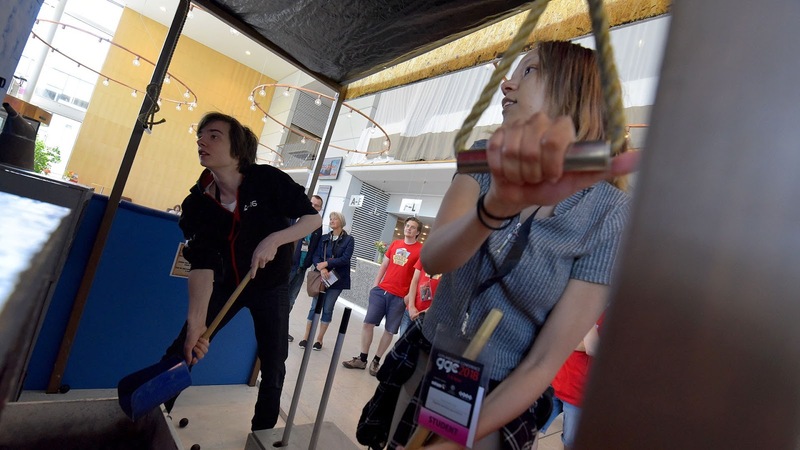 Then we had one final day (Wednesday) to play any remaining games, especially the ones nominated by the other jurors, before we met up for a 3 hours long discussion about which games should win. At about 19:00 there was be a fancy award ceremony with an after party. Whew! 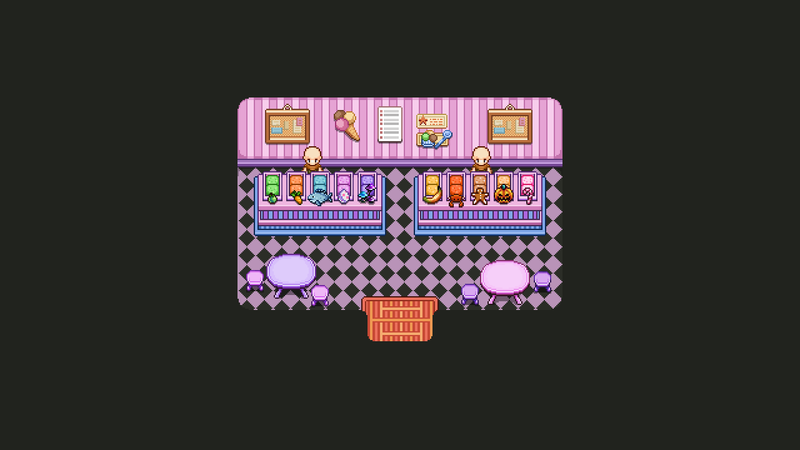 We tried our best to mash in some dev time among this craziness as well, so first up we have the possibly most important (for the inhabitants of Grindea anyway) room interior of them all: the Ice Cream Parlor!!! What stroll along the beach in this hot seaside town is complete without a cooling ice cream? Best part about this is I got to be creative with the ice cream flavors, which was a blast. I’d totally try most of these, no questions asked. Which ones would you like to try? Next up, we have a shield maker! This dude sells shields in the market area of the desert town, sharing a stand with the potion seller and sword smith! Meanwhile in Fred’s department, we have the animation for the photographer girl who hands you the photography quest (if you’ve played the latest Arcadia rework update you might have seen her already), as well as possibly the most important thing in any typical harbor town. What I’m talking about? Seagulls, for course!! This week we’ve taken a slight break from the desert to add some final touches to Arcade Mode in preparation for launching the Arcadia Rework on stable (which has now been done)! Aside from the sound effects, we wanted to add a couple of new quests and mechanics, one which is brand new and will probably also make an appearance in some form in Story Mode: Photography! Above you can see the first WIP of the photography mode, basically it’s a camera you equip which allows you to take a photograph of whatever is happening right now. You’ll be given quests by a photographer who wants you to take photos of certain things, and once you give her a picture of what she asked for, she will give you a reward. 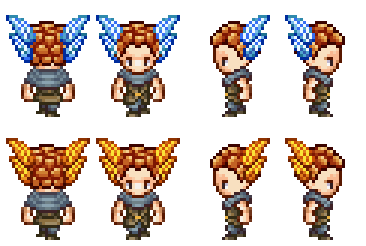 Some new, quick sprites have been made as well, this time a bunch of rewards for the various quests (fae wings for your head! wohoo! ), as well as the camera used for the photography quests and a sack of bird feed for another quest featuring another well-known face from Story Mode, who wishes to see some birds in Arcadia!